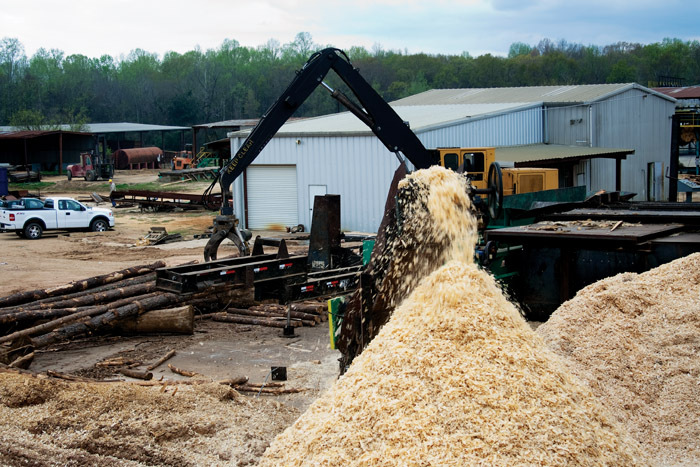 Timber Processing’s June issue spotlights Georgia’s Griffin Lumber, which has a history of doing what it takes to keep its southern yellow pine sawmill at the forefront. 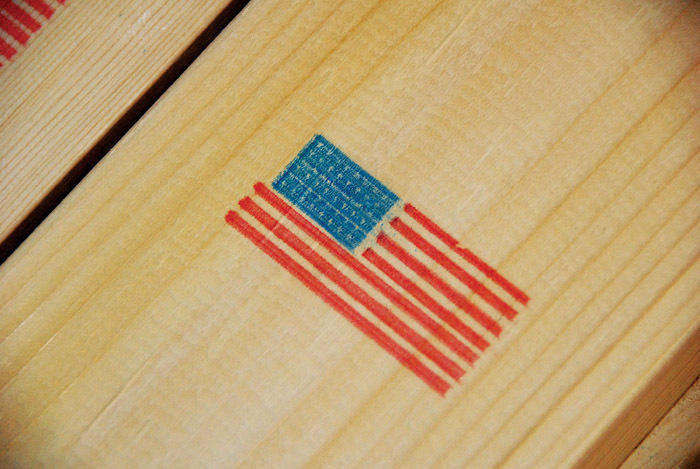 Also featured is Pleasant River Lumber, a Northeast U.S. lumber producer that has stayed on track and made significant investments in its mill. Several products are highlighted in the Product Scanner section, and the Machinery Row section discusses the Swedish group Södra, which is investing in a new sawmill in Värö in southern Sweden. The Newsfeed section highlights Arauco’s response to the earthquake in Chile. The Richter magnitude 8.8 earthquake and subsequent tsunami that struck south-central Chile on February 27 played no favorites, devastating families and destroying homes, offices, industry and infrastructure in coastal communities and inland cities alike. With most of its production facilities located in the regions hardest hit by the disaster, Arauco, a leading forestry company, suffered considerable damage. Griffin Lumber Co. President Billy Griffin, 58, says things had already started slowing down considerably in 2007, the last time Timber Processing visited the operation, when it was already curtailing production in response to slumping lumber markets. At the time the mill was turning out 1MMBF a week, usually meeting the goal and finishing the week on Thursday afternoons. Sometimes you just need to think outside the box to be successful in business. That’s been the order of the day for Jason and Chris Brochu—brothers who run Pleasant River Lumber here with their uncle, Luke Brochu, and several other owners. By using creativity in their business plans and in the workplace, they’ve kept the sawmill operating through these difficult times. It hasn’t been without challenges, but they have managed to maintain production levels, keep their employees working and invest in the mill with their sights set on economic improvements down the road. Northshore Manufacturing, home of Builtrite branded products, offers the new PG Series of pulpwood grapples. These grapples are designed for bulk handling of shortwood at wood processing facilities. 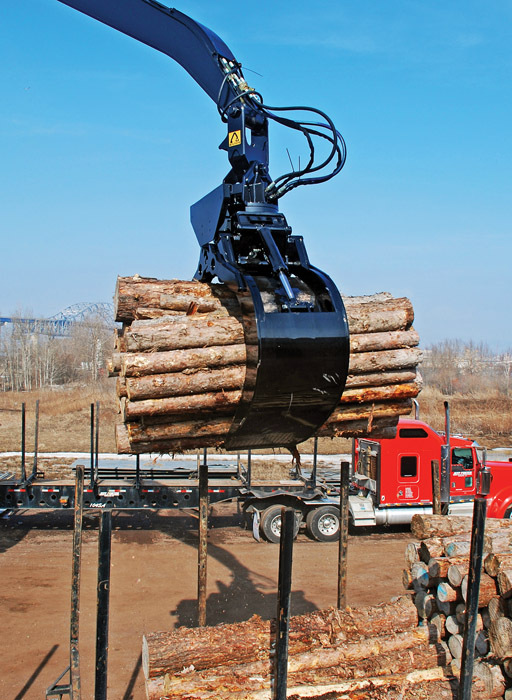 Key features include: 360˚ continuous rotation on a heavy duty bearing with advanced, high torque motors and a high pressure hydraulic swivel; and an optimum arm curvature for gathering and handling the maximum amount of logs. 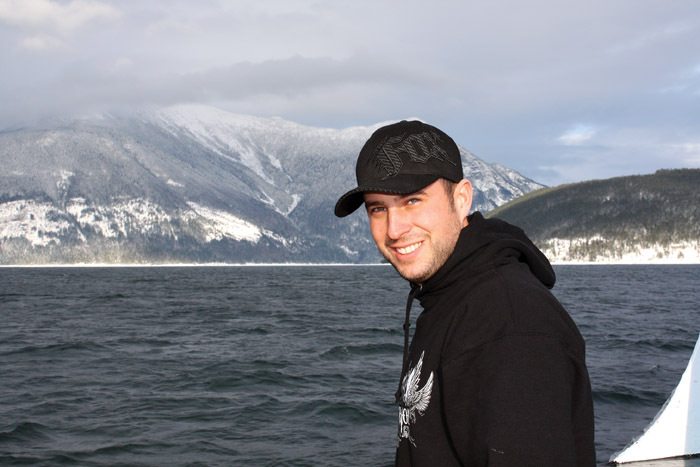 Paul Anders Brunes, son of the owner of Brunette Industries Ltd., Per Brunes, died suddenly on March 13 at age 31. He was snowmobiling with friends near Bralorne, BC, when his heart stopped and he died immediately. “Paul lived life to the fullest, and took every opportunity to spend time doing the things he loved—snowmobiling and snowboarding in the winter, and boating, wake boarding and wake surfing in the summer,” commented friends.